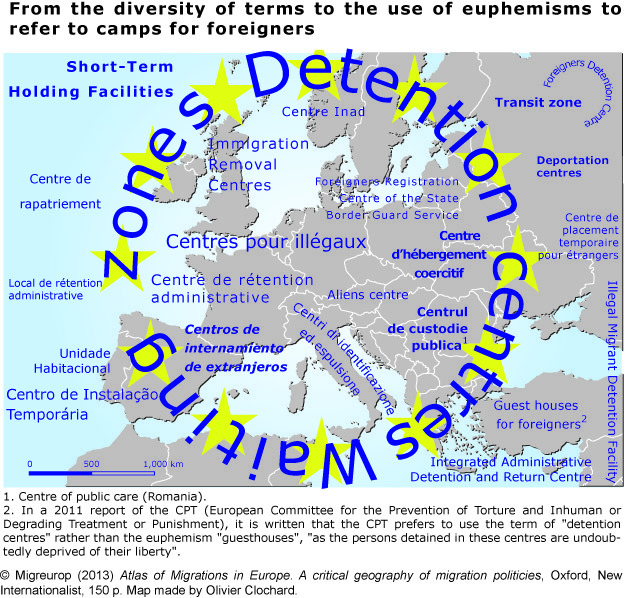 Various terms are used throughout Europe to refer to migrant detention sites. While some States use terms which clearly show the main objective of these sites, such as “deportation centres” or “immigration removal centres”, other States employ euphemisms, such as “Centro de instalaçao temporaria” or “Centre de prise en charge publique”. Turkey displayed a certain cynicism, using the term “Guest houses for foreigners” until 2011.